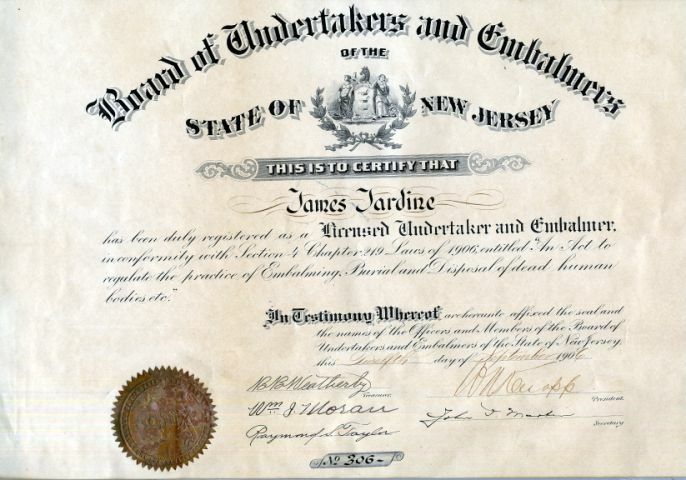 Beautiful certificate ( 22" x 17") from the Board of Undertakers and Embalmers in the State of New Jersey dated 1916. 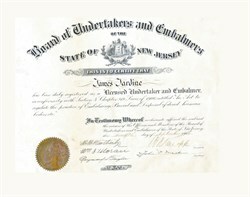 This historic document was has a vignette of the New Jersey State Seal and is signed by the the organization's officers. The certificate was issued to James Jardine and is over 92 years old.